“If you can show that you are using the same policies in different countries in the same way, it’s really hard to make the argument that you’re moving things around for strictly tax purposes, right?” said Laura Owen O'Leary of logistics company UPS. She was speaking on a panel discussing how law firms are responding to the OECD’s base erosion profit shifting (BEPS) project. The BEPS project aims to combat tax avoidance by multinational corporations that exploit gaps and mismatches in countries’ tax rules to artificially shift profits to low or no-tax locations. Under the framework, over 100 countries and jurisdictions are collaborating to implement the BEPS measures and tackle such practices. The framework’s popularity is such that even non-OECD countries are getting involved. “Since 2013, most Central American countries have based their transfer pricing regulations on the OECD guidelines,” said Consortium Legal’s Diego Salto van der Laat. Costa Rica is the currently the only Central American country in discussions with the OECD to become a permanent member. Owen O’Leary said technology is also key to doing transfer pricing studies. “My entire career I have looked for things that are alike and then used technology to help me monitor or track or change those things. The key for me is really looking at what you can put into electric format.” She recalled how mail merge and templates helped her complete around 100 studies a year on her own early on in her career. DLA Piper LLP partner Antonio Macias Valdes struck a similar note, saying technology was becoming a “key part” of his profession, allowing companies to better gather and document information needed by the tax authorities. But technology is a luxury not all can afford. Katherine Arones, head of global tax affairs at drinks company AJE, complained that while her responsibilities increased year on year, her budget was shrinking. “It’s a luxury for me to think of technology. At this point I am just thinking about the most efficient way to get these transfer pricing studies done,” she said. Knowledge of the business is also key when considering who to hire to take care of tax planning, said Arones. “I really need someone to be able to go deep into my business and try to understand the uniqueness of my business. It doesn’t matter if that person is a lawyer or an accountant,” she added. 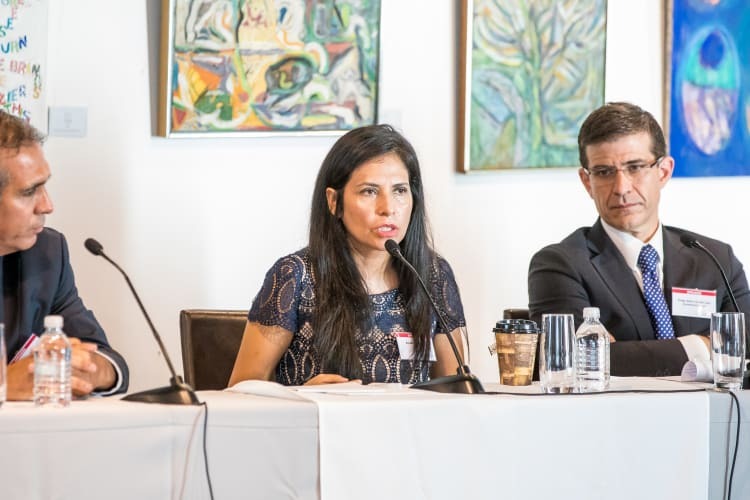 Raimundo Lopez-Lima Levi, a partner at accountancy firm Lopez Levi Lowenstein Glinsky who moderated the panel, said lawyers are usually a company’s first point of contact regarding tax matters and therefore might have the most holistic view of a client’s affairs. Familiarity with a business is important because it is often what determines whether a company comes out unscathed from an audit. “In a transfer pricing audit there’s a lot of interpretation on both sides, so it helps to be the one that really understands all the business purposes and the business rationale,” said Arones. Machado Meyer’s Celso Costa and DLA Piper LLP's Michael Silva chaired the summit, which took place at The Betsy in Miami Beach. In a previous panel, the head of Florida’s international bankers’ association categorised the US as a tax haven and one of the world’s “least transparent jurisdictions”; in another, delegates heard that the OECD’s BEPS project could backfire if there is a jurisdictional mismatch in how the framework is implemented. Latin Lawyer will continue to report on the conference in upcoming briefings.